Sam began his rally career in 2010 competing in the Atlantic Rally Cup and has raced in various events across the USA and Canada since finishing 2nd overall in the 2015 Cascadia International Rally Championship. 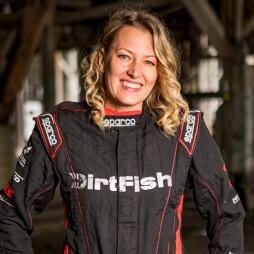 Michelle joined Sam in 2015 as a co-driver and has since been competing in multiple rallies in the Pacific Northwest and Canada. At DooWop Rally, their first rally together in 2016, they took first overall. This year at Pacific Forest Rally they were sitting in third overall at the end of day one, but a crash on stage 6 took them out of the running for a podium; they were able to put the car back together to finish the rally, missing two stages. Both are looking forward to come back strong at Big White and contintue to develop their teamwork. Both Sam and Michelle are instructors at DirtFish Rally School in Snoqualmie, Washington and teamed up for multiple rallies in 2015 finding great success.